My Olivia Garden collection has been steadily growing as I have been on a mission to replace all my old brushes. I'm a huge fan of the ceramic and paddle brushes but also wanted something to gently detangle whether my hair is wet or dry. The FingerBrush helps me do just that. It's an incredibly gentle brush that comes in different sizes to suit multiple hair lengths. I have long, thick hair so I have the large FingerBrush. This brush features a comfortable, light-weight design. The handle has a retractable sectioning pick so you can easily separate hair into manageable sections for styling. The brush itself is curved and features ionic bristles that are gentle on the scalp and feel like a massage each time you brush. Its vented design helps shorten drying time and allows air to reach as much hair as possible. I typically use this brush when my hair is wet as well as to smooth when it's dry. I love how gentle the bristles are on my scalp. Since I have the large brush it's particularly nice because it covers a larger area at a time. Smoothing my hair has never been so easy! I also like how simple it is to clean this brush. Due to its unique design, I can get to each bristle to insure it's getting thoroughly cleaned. If you are a fan of Olivia Garden brushes, I highly recommend adding this style to your collection. I never realized how much I would use this type of brush on a daily basis for simple tasks! 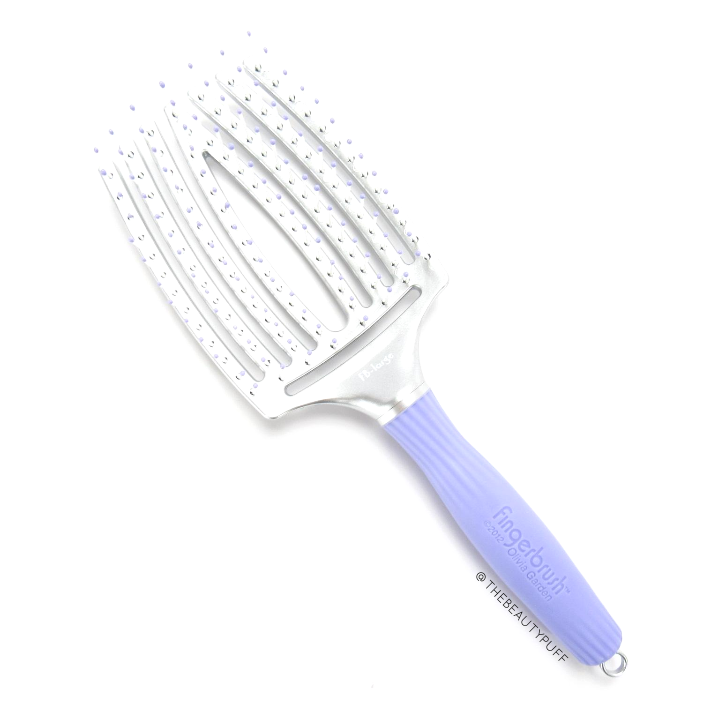 You can find this brush, along with other styles, on the BeautySpin website below.